HA NOI (VNS) – As resort properties have become a busy segment since the beginning of this year, projects that integrate life values and promise excellent profitability will become magnets for investments. Seeing the great opportunities in the country's northern region, where resort property projects are not as abundant as in the central and southern regions, many developers have poured money into the segment and the market reaction has not let them down. 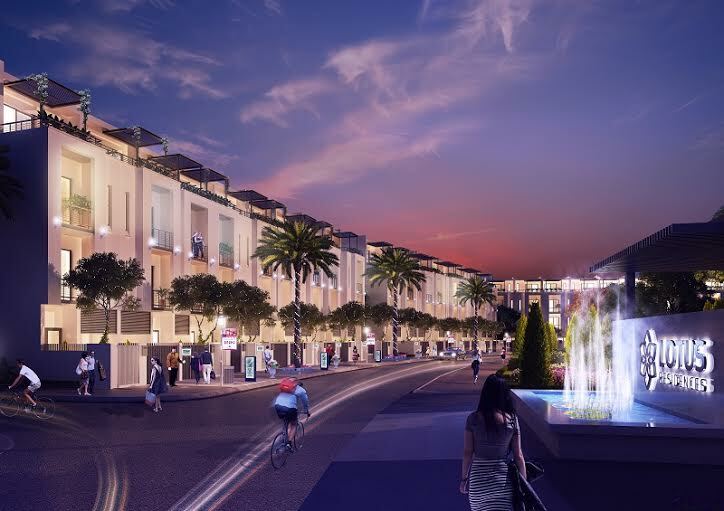 Joining the race in the northern resort property market, the BIM Group recently introduced Van Lien (Lotus Residences), a luxury resort townhouse project in the prime location of the Halong Marina Urban Area in Quang Ninh Province's Ha Long City. The project, since its first sale in June, has attracted a large number of investors and recorded a considerable number of purchases after two sale openings. Syrena Viet Nam, a subsidiary of the BIM Group that focuses on property and tourism development, said the project's attraction lies in the integration of the core values of life and investment, its prime location in Quang Ninh Province, one of the most attractive tourist destinations in the north with the World Natural Heritage site of Ha Long Bay, along with well-developed infrastructure and good connectivity. Quang Ninh has been recognised as the busiest resort property market in the northern region, given its natural advantages and prominent socio-economic conditions. It is reflected in the presence of numerous projects, worth billions of dollars, of major players such as the BIM Group, the Sun Group, Vingroup and FLC, as well as the CEO Group and Tuan Chau. In addition, more reasonable prices and equivalent profitability, when compared with resort properties in the country's central region, also make the resort properties in Quang Ninh appealing to investors and drive many of them, especially those from Ha Noi and the neighbouring provinces and cities, to make purchase decisions. Buying a resort property is considered a good decision for investors amid the recovery of the realty market after a prolonged frozen period, as the asset is not only their second home, providing them opportunities to enjoy life in a natural environment and with luxurious amenities, but also a safe investment in the long run. The BIM Group guarantees a combined profit of up to VND1.7 trillion (US$75,555), or 24 per cent of the townhouse's value at Lotus Residences, in the first three years of operation under the "rental pool" management model. From the fourth year, the townhouse owners will receive 65 per cent of leasing profits, together with 60 days of accommodation for fee (estimated to worth VND300 million ($13,330) per year. Rental pool is a popular management model followed in resort projects, but applied for the first time in Lotus Residences in Ha long City, in which the parties involved share rental income from a property as well as the expenses associated with its ownership and maintenance. Amid the recovery of the property market with an abundant choice of projects as investments, industry experts said investors now considered many factors such as location, price, quality and profitability, as well as developers' capacity and prestige, before deciding to purchase anything. The BIM Group and G5 Property Trading Floor Alliance – the official distributor of Lotus Residences – will jointly open sales of Lotus Residence townhouses in Ha Noi on September 12 and in Quang Ninh on September 20. Lotus Residences, one of the high-profile projects of the BIM Group that has a diverse portfolio of residential, commercial, hotel and resorts projects in Ha Long, Phu Quoc and Laos, is considered a good choice in the northern property market. The two sale openings of Lotus Residences in June and August grabbed the attention of a large number of buyers.